Can we use Biblionasium at NIST? YES you can. 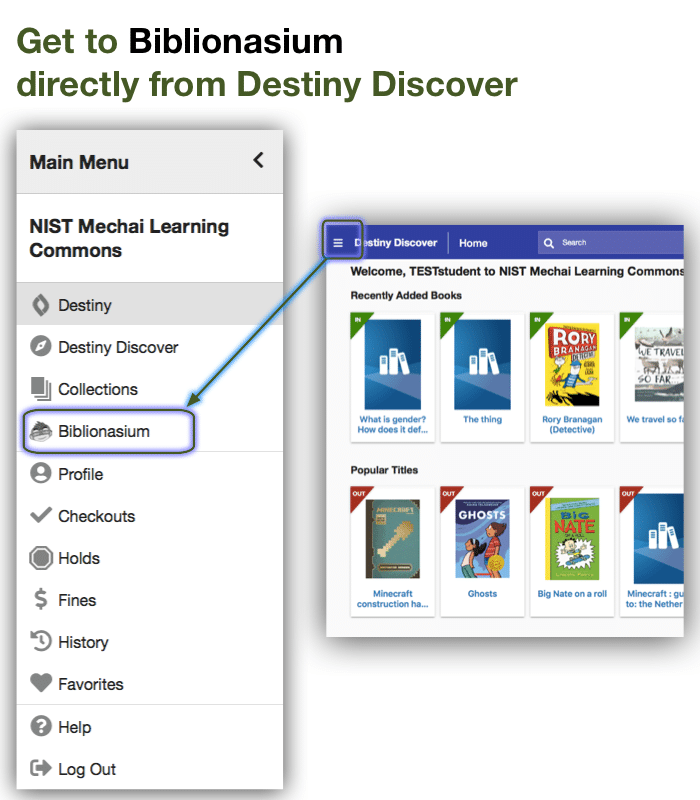 Biblionasium is linked directly to Destiny Discover so books in our library (MLC Mechai Learning Commons) collection will appear with “IN” or “OUT” to indicate if it is currently available. Log into Destiny Discover [click here] . Tap on the top left menu icon. Select “Biblionasium” from the drop-down menu.